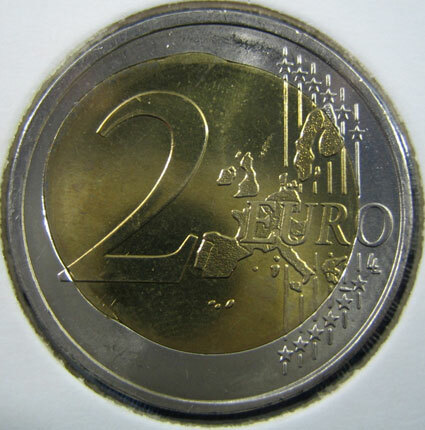 This coin is a 2 Euro Germany 2002 D with off metal of the planchet. The images are provided by Danijel J. This coin is a 2 Euro Germany 2002 G with off metal of the planchet. The images are provided by Danijel J. 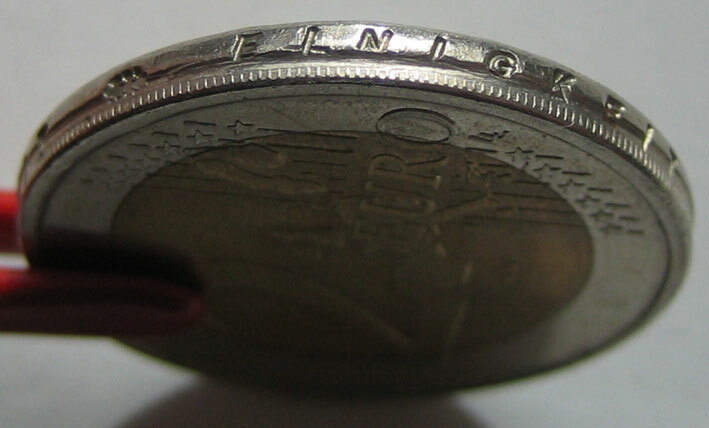 This coin is a 1 Euro Germany 2002G with double die, the second die have a slightly rotation. The images are provided by Danijel J. 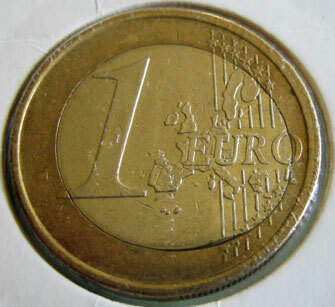 This coin is a 1 Euro Germany with off metal of the planchet. The images are provided by Danijel J. 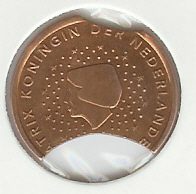 This coin is a 2 Euro Germany with partial collar. This is very interesting because the collar have also a partial ring. The images are provided by Danijel J. This interesting error it is on a commemorative coin. 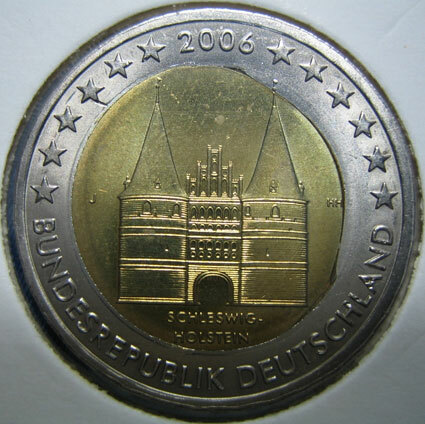 It is a 2 Euro Germany 2006 j - Holstentor with off metal of the planchet. The images are provided by Danijel J.